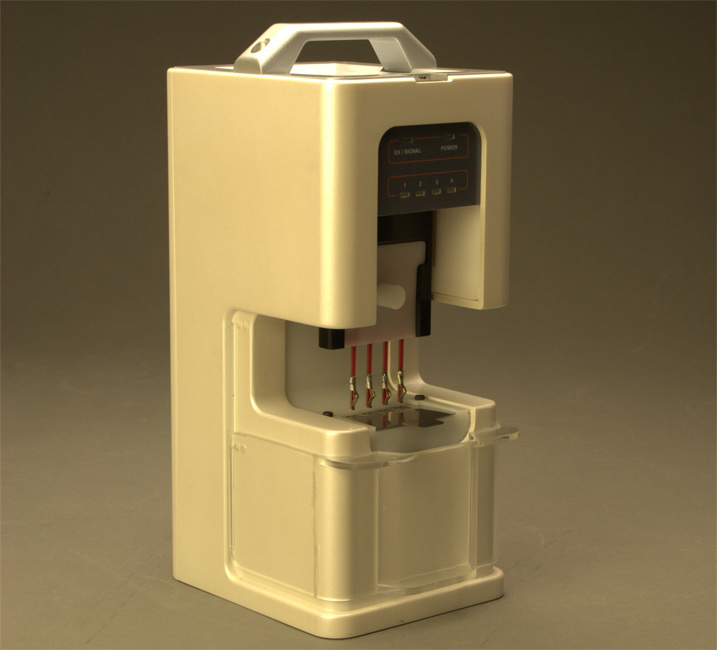 University of Washington engineers in collaboration with NanoFacture – a Bellevue, Washington, company – have created a device that can extract human DNA from fluid samples in a simpler, more efficient and environmentally friendly way than conventional methods. "It's very complex to extract DNA," said Jae-Hyun Chung, a UW associate professor of mechanical engineering who led the research. "When you think of the current procedure, the equivalent is like collecting human hairs using a construction crane." This technology aims to clear those hurdles. The small, box-shaped kit is now ready for manufacturing, then eventual distribution to hospitals and clinics. NanoFacture, a UW spinout company, has signed a contract with Korean manufacturer KNR Systems at a ceremony in Olympia, Washington. The University of Washington, led by Chung, spearheaded the research and invention of the technology, and still manages the intellectual property. Separating DNA from bodily fluids is a cumbersome process that's become a bottleneck as scientists make advances in genome sequencing, particularly for disease prevention and treatment. The market for DNA preparation alone is approximately $3 billion each year. "This simple process removes all the steps of conventional methods," Chung said. The tiny probes, called microtips and nanotips, were designed and built at the UW in a micro-fabrication facility where a technician can make up to 1 million tips in a year, which is key in proving that large-scale production is feasible. Engineers in Chung's lab have also designed a pencil-sized device using the same probe technology that could be sent home with patients or distributed to those serving in the military overseas. Patients could swab their cheeks, collect a saliva sample, then process their DNA on the spot to send back to hospitals and labs for analysis. This could be useful as efforts ramp up toward sequencing each person's genome for disease prevention and treatment, Chung said. The market for this smaller device isn't developed yet, but Chung's team will be ready when it is. The larger version meanwhile is ready for commercialisation, and its creators have started working with distributors. A UW Center for Commercialization grant of $50,000 seeded initial research in 2008, and since then researchers have received about $2 million in funding from the National Science Foundation and the National Institutes of Health. Sang-gyeun Ahn, UW assistant professor of industrial design, crafted the prototype.